With the stunning models ‘Bentley’ now brings Bentley Flying Spur V8 S 2017 to go extra miles to their addition lineup. This model slots between the Flying Spur V8 and the Flying Spur W12. It is the package of class-leading comfort with remarkable dynamic ability. It is a mid-range model which gives a customer a choice to look for something different. 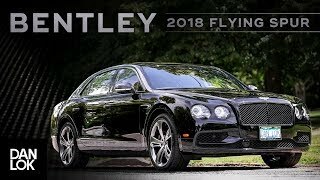 Let us have a close look at the review of Bentley Flying Spur V8 S 2017 and find out all the new stuffs and standard features to make it better than its predecessors. The interior of Bentley Flying Spur V8 S 2017 is well versed with comfortable, beautiful and functional cabin .It also offers semi-aniline hide as an option, and the seats can be optioned with straight fluting. Attractive small-diamond quilting pattern are provided on the dash, door trim, and the seats inserts. 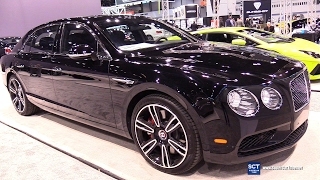 Adding class to it, Piano-black wood veneers and a three-spoke sports steering wheel and gear shift paddles are provided. 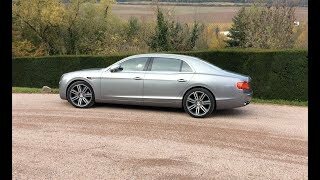 Thus concluding the interior details of Bentley Flying Spur V8 S 2017 I would call it ‘luxury loaded with comfort, looks and technology’. The exterior of Bentley Flying Spur V8 S 2017 has a mysterious appearance. The matrix grille is painted black, and down below, the fascia has changed a bit. The lower part has been given an aggressive design with black background provided by the air dam. It has open-spoke painted wheels, and the mirror covers has a high gloss black finish. The rear end of the Bentley Flying Spur V8 S 2017 has tinted lens like the headlights making it apart from the rest of the models. 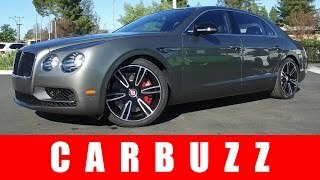 Bentley Flying Spur V8 S 2017 is a set of power, performance and economy. It also comes housed with 4.0-litre twin-turbo V8 S engine, this powers the Flying Spur V8 S to touch 0-62 mph in 4.9 seconds. Its engine also provides impressive fuel economy enhancing its ability to cover more than 837 km between fill-ups.